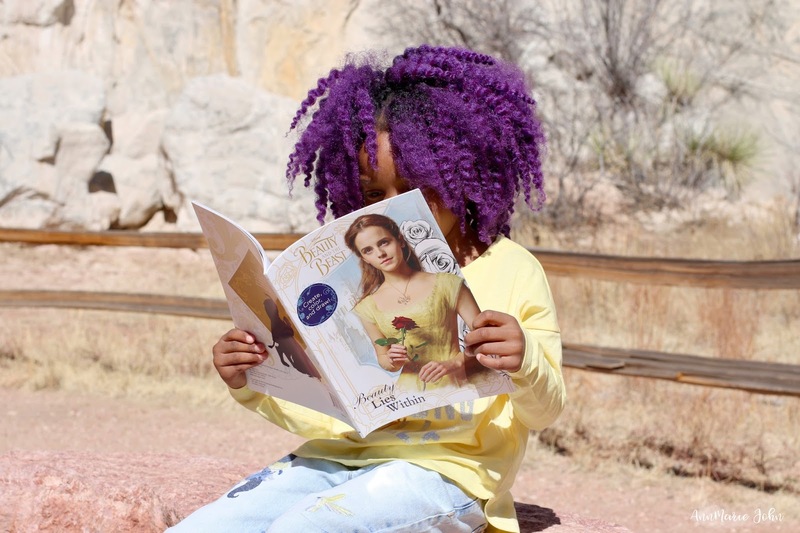 You too can be a Fearless Beauty in Gap Kids Beauty and the Beast collection! Over the weekend I decided to take Madison to the Garden of the Gods, known for it's exceptional natural beauty, here in Colorado Springs. It's a place where you can relax and enjoy nature and as I like to say, stop sweating the small stuff. Life can get hectic and sometimes you just need to sit back and smell the roses, or in this case, look at the mountains. 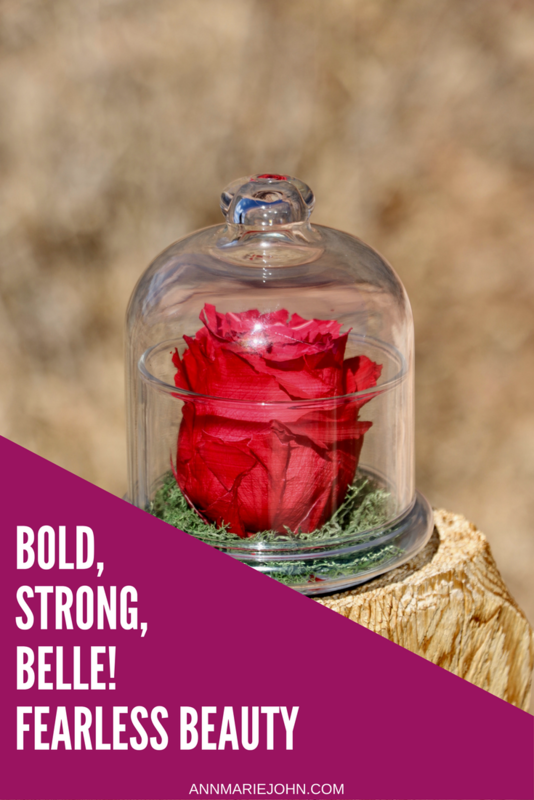 You also have to Be Bold, Be Strong, Be Belle! You may have noticed the pun on 'Belle'. Disney's Beauty and the Beast live action film hit theaters on March 17th, and Madison and I are both excited to see it. Belle is the embodiment of a fearless beauty, not only is she beautiful, but her strength and bravery shines through and you can see it. Madison has always been strong in character, but fearless, not so much. You may have noticed that she very rarely smiles and you may think that she's never happy, but that is very far from the truth. She is one of the most lovable child on this planet. She loves to give hugs, is very polite, loves to share and is such a pleasure, and a treasure to be around. She reminds me very much of my own mother whom I lost almost 2 years ago. My mother very rarely smiled, but had such a strong character, that everyone who met her was left with a lasting impression, never to be forgotten. Fearless Beauty is all about stepping out of your comfort zone and being one with yourself. Having no fear and embracing your oneness. We are all not alike, we're all different and we all have our strengths and our fears, but it's overcoming those fears that make us fearless. Madison is not a fan of heights but she overcame her fear to take these beautiful photos for us, all the while showing us how fearless she is. Beauty is in the eyes of the beholder as they say, but what does beauty mean to you? Beauty for us is not about physical appearances. Beauty comes in all shapes and sizes and is about being kind, doing what's right, being kind to others, helping others and being a good person, but most of all, beauty is being yourself. That's what makes Madison such a Fearless Beauty, and of course, she's beautiful, in her own way. GAP with their ongoing collaboration with Disney has launched their new Beauty and the Beast collection, inspired by both the original Disney animated classic which we all know and love, and the new Beauty and the Beast live action film coming to theaters March 17th. Their collection features an assortment of clothing for kids and will be available through the week of April 3rd. The collection, which is made exclusively for girls, includes dresses, leggings, tops, denim jeans/jackets with references to the film, including rose embroidery, graphics of the iconic profile of Belle and the Beast, Belle’s books, the Enchanted Rose as well as “Belle” and “Bonjour” text on t-shirts and also highlights Mrs. Potts and Chip on t-shirts, dresses, skirts, and denim. 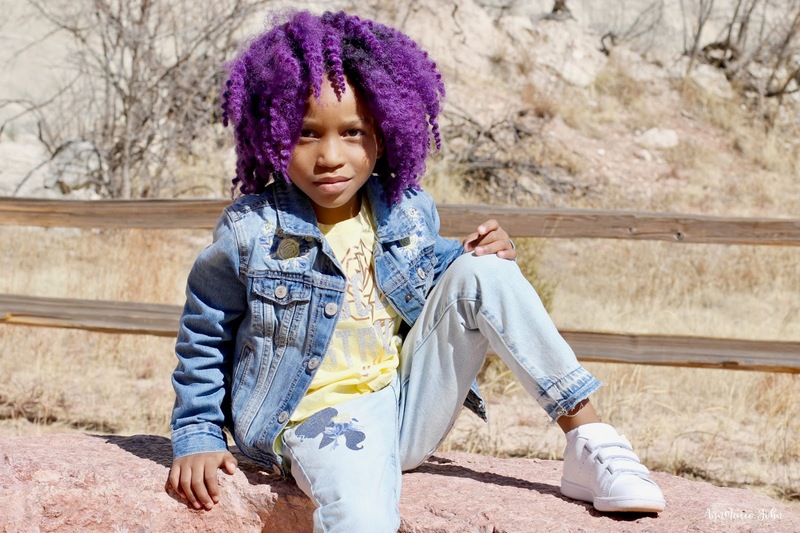 The “Fearless Beauty” campaign features a cast of motivational girls, including April Star, a 10-year-old girl with vitiligo, a condition that leaves her with patches of white discoloration all over her body, that she powerfully displays in beautiful images. The cast also includes the Tiny Terrors, a roller derby team of skater girls aged 8 to 10 in the Gotham Girls Junior League of New York City, who is currently ranked number one in the world by the Women’s Flat Truck Derby Association, roller derby’s largest governing body. Don't let fear rule your life, become your own Fearless Beauty today! Here are our Top 6 Fearless Beauty items for your own little fearless beauty. I used to shop at Gap Kids when my boys were little. I always loved their kids clothes. What an inspiring campaign! And those outfits are too cute! 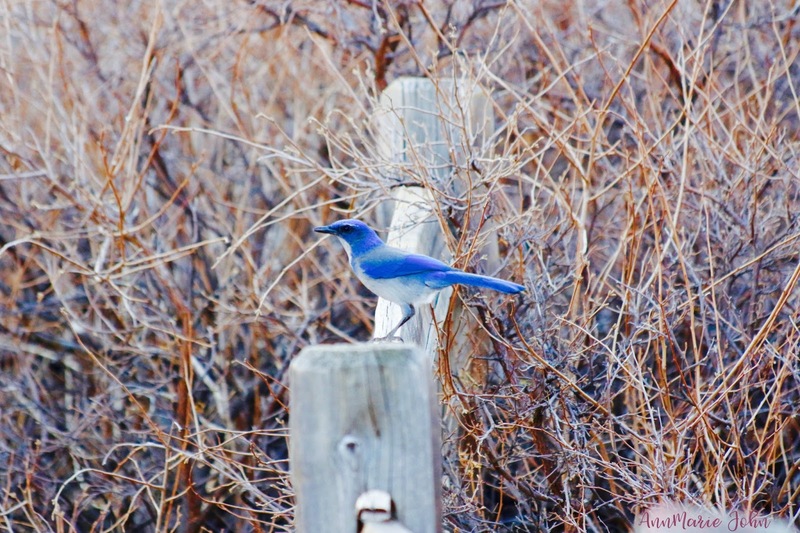 Absolutely beautiful images Annmarie! What a wonderful campaign! We actually JUST bought those jeans. My daughter loves them so much. Your daughter is gorgeous. I love her hair. Your daughter is adorable and seems to have a mind of her own. She seems to know what she likes and doesn't like when it comes to fashion. I think her hair is awesome. Your daughter is a fearless beauty! It's so great that she overcame her fear of heights for the shoot. Those Belle clothes are too cute. Madison looks really comfortable with the outdoors. She looks great and does look fearless too. 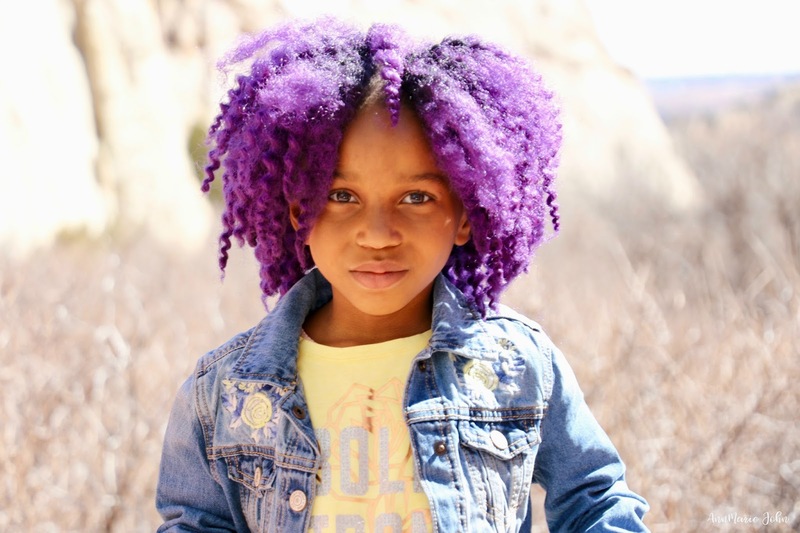 Her hair is fantastic, and so is her fearlessness. Heights are no joke, and I'm not in Colorado! Scarlet is fearless, and that helps me. Des is more fearful, and that helps me too. We all faced our fears together at Disney World and we did meet Belle and it was magical. I am not a fan of heights either! I don't know if I could call myself Fearless. I love the idea of this campaign! I love your little model there! Her hair is so pretty in the outfits that she has on are gorgeous. These clothes are so adorable! Your daughter is beautiful! 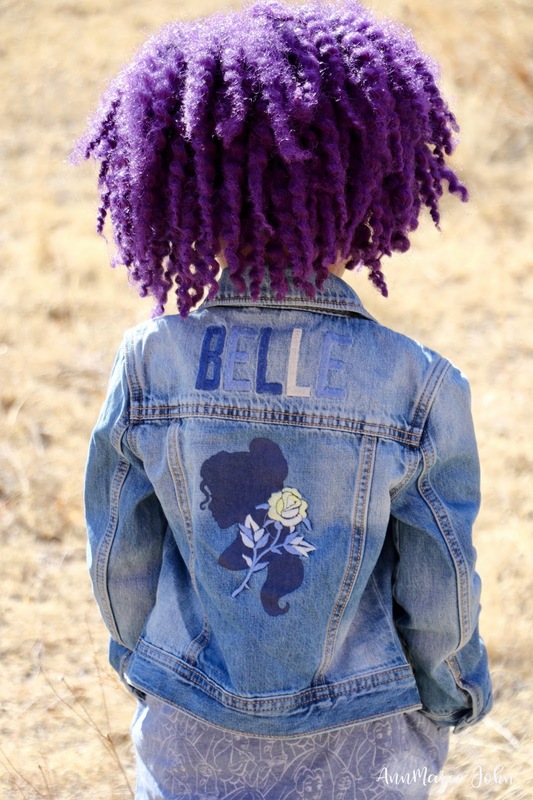 I love the Belle jacket and I bet my girls would love these clothes. I love this campaign. I think it's so important for little girls to know that they can be just as strong and fearless as their on-screen heroes. First of all, I have to say something about that hair. It's AWESOME! I love the style and the color. Those clothes are super cute, too. I LOVE campaigns and products that encourage girls to be fearless, brave, and assertive. There's not enough of that in the world. Great! 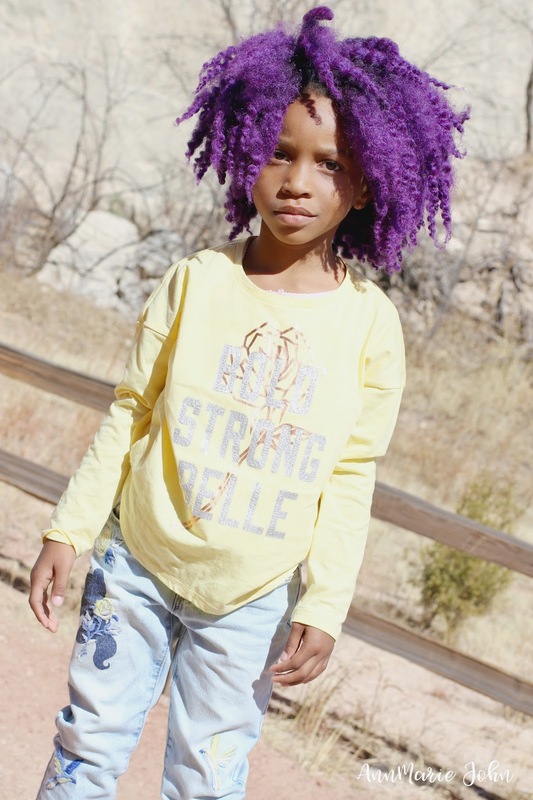 I am in love with her and her vibrant purple hair! Moreover the dresses are super adorable and extremely stylish! The collection is really good and the designs are also one of a kind. The idea of the campaign is amazing. It's great that she over came her fear of heights, I can relate. What a cutie patootie. I love the clothes and her hair. 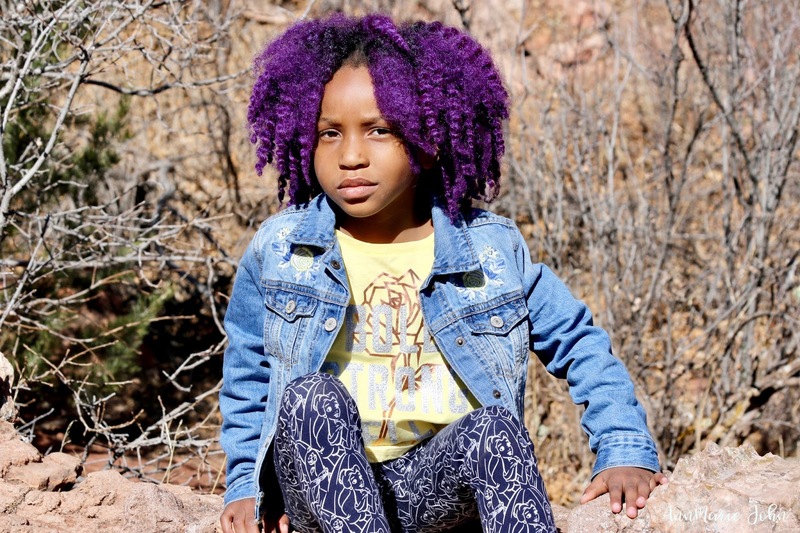 Your daughter is a beauty!And her hairs...wow!She looks so perfect with these looks! 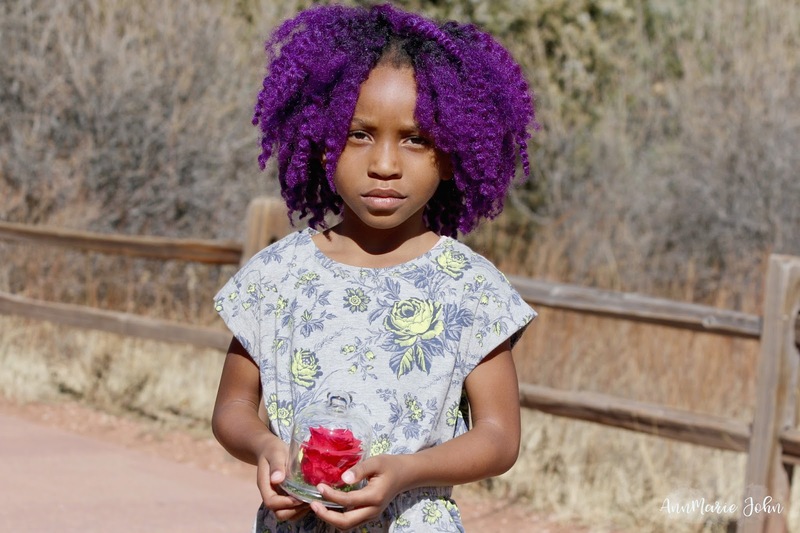 Her hair and her attitude to overcome - it is my everything right now. She is beautiful. You said that we are not alike - embrace the oneness and in the photos you didn't force your daughter to be anything but herself - you let her be Madison. I loved that about this post. You're a good mom. I'm sorry to hear that you lost your mom. Gentle hugs. I shop at Gap for my grandkids and love it. Those Beauty and The beast outfits are adorable. You have a future model on your hands! I love this post! I have never really thought about what fearless beauty means to me, but I can definitely see how Belle is an inspiration to women and girls. I ADORE HER HAIR!! I saw her on Insta the other day and I thought - what a gorgeous child and that hair just expresses happiness! Beautiful! 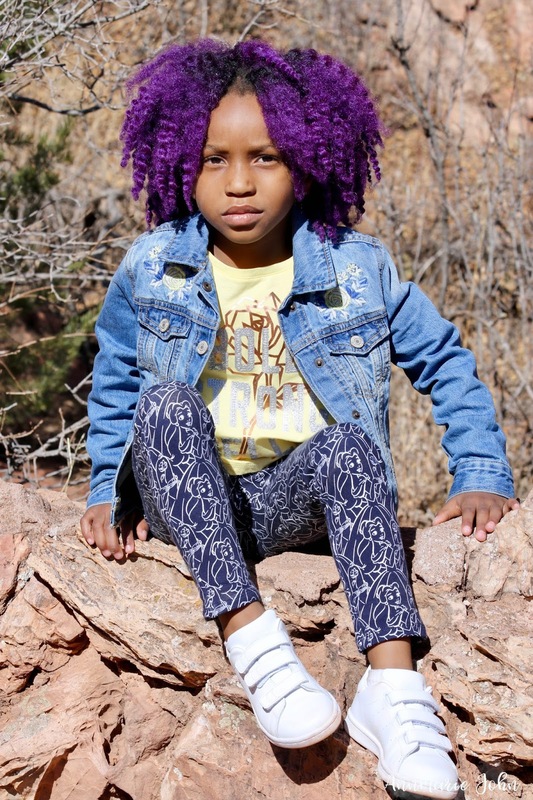 Love her purple hair! What a beautiful little girl you have. I love the message that Beauty and the Beast has and that it is inspiring us all. The clothing is absolutely adorable. I have to check it out. To me, fearless beauty is embracing one's uniqueness and individuality with a sense of pride! Beautiful photos! And what a cool clothing collection on your stunning, smart, strong little Belle! I love the Garden of the Gods. Thats where my husband proposed to me more than 21 years ago. Its a very serene place with beautiful rock formations and walking trails. The Belle inspired clothing looks awesome. I am sure my daughter would love that. That's great that you take so much pride in your daughter. This is such a wonderful and inspiring campaign and I love those sweet little outfits! Your daughter is just gorgeous and the location is stunning. It sounds like your daughter is growing up to be a strong individual! I like the new Beauty and the Beast gear from GAP! The pictures came out so amazing! 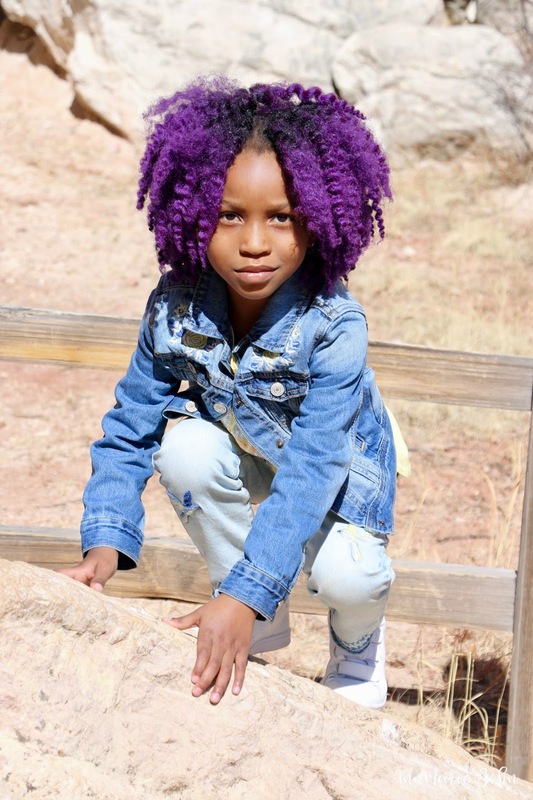 And can I just say, I LOVE her purple hair! Such cute outfits. My little girl would love the rose dress. We too are excited for the movie though wse will be out of town on the opening day, the next weekend it is our date! Oh my gosh, that "Bold Strong Belle" shirt is THE CUTEST! I could totally see either of my daughters sporting that shirt quite happily, as both my daughters are bold and strong - although I'd find it more suiting to my youngest, the little bookworm who is so very like Belle. First of all your daughter is beautiful. Love her hair. She is the epitome of this brand. I really like the differences being celebrated in the campaign and I can't wait to see the movie as well as get some of these clothes for my niece. She will LOVE them. These are really beautiful photos of your gorgeous girl. I absolutely love the campaign you're sharing with us, too. It's so important to teach and show our girls that beauty is about so much more than how you look and how others see you. The Garden of the Gods is such a beautiful place. I love the cute outfit and jacket. My granddaughter believes she is every Disney princess that ever existed. Now, she is Belle. I am sure she'd love these items from Gap Kids. She's a little fearless fighter too. Opinionated but very loving. Oh, BTW, your daughter Madison has pretty eyes! So expressive! Fearless Beauty is also showing your vulnerabilities. We aspire to be strong always but it is also a nice feeling to be able to show our weaknesses. I love the dress with roses. It looks lovely on Madison. I am excited to watch Beauty and the Beast. I like Emma Watson. This collection is amazing. I've got to check it out for my girls! 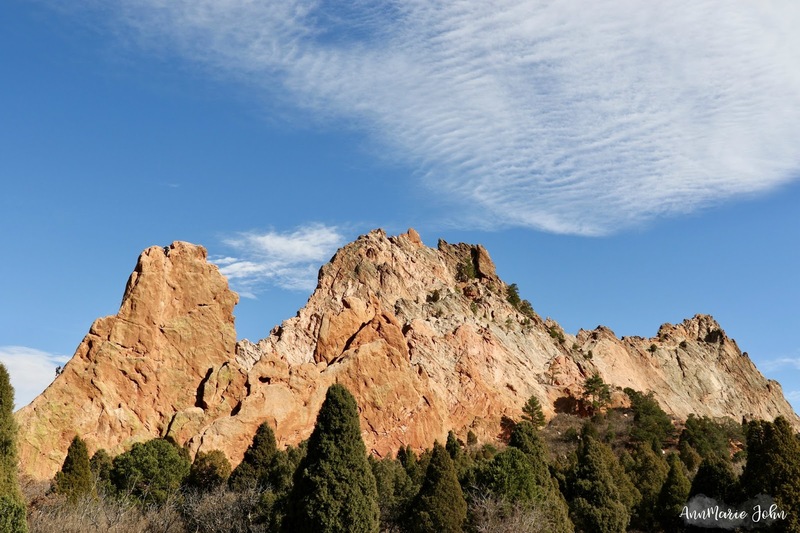 I would like to visit Colorado Springs. What a stylish little lady you have there. I am so glad that many campaigns are starting to realize that in order to empower women and girls, we need to celebrate their beautiful differences. Your daughter is so beautiful! I love that they have items like these for little girls! What a gorgeous collection for the little ones. I love shopping a Gap for my great-nieces presents. They always have such adorable things. These are no exception. Madison is just beautiful in all of the outfits. I know it's not related to the post but let me say that I'm absolutely in love with her gorgeous hair!!! Having said that I really like the Gap collection too! LOVE the whole package. The pictures, the explanation, the settings, the collection. Awesome post! What a great campaign. Madison sounds like an amazing young woman. 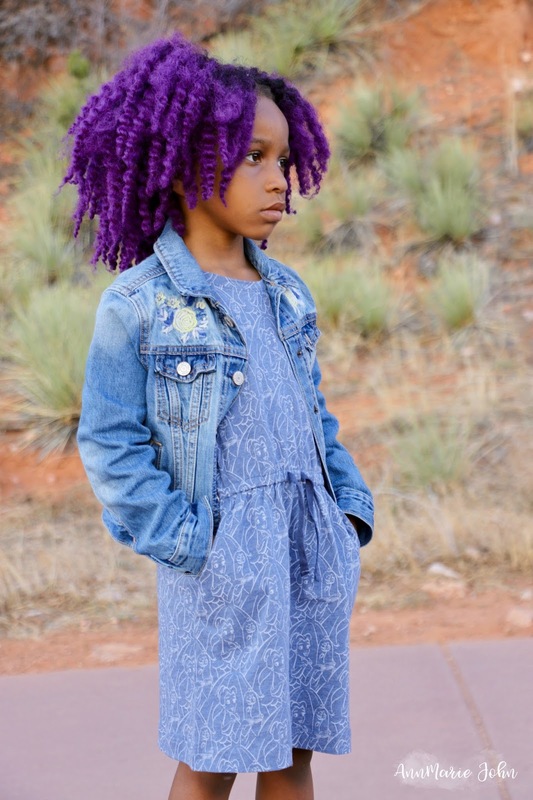 I am obsessed with her purple hair. Garden of the gods is such an interesting name for a garden! What an awesome collab to do with gap. Love the jean jacket! OMG your pictures are amazing and this clothing line is simply amazing! 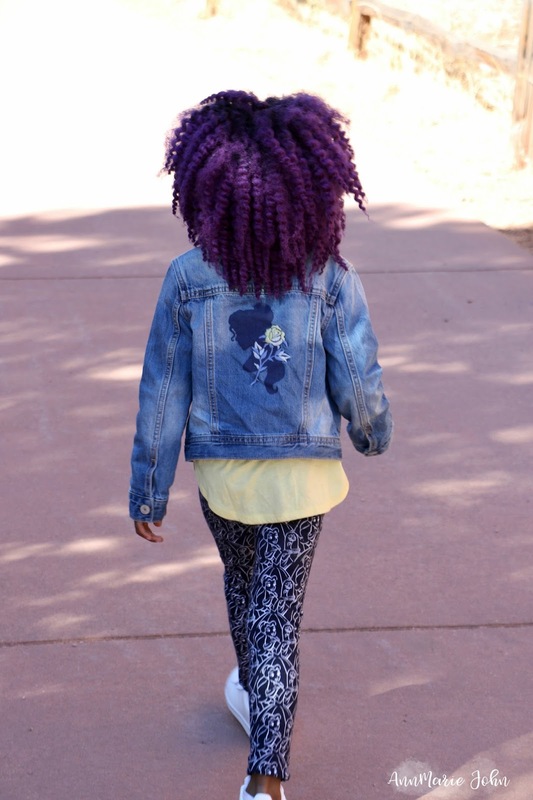 My daughter would love that jean jacket...I may need to make a trip to the mall! Omg these clothes are absolutely adorable! I had no idea that Gap had this line available! I need to get my daughter some outfits asap! I need to head over to the Gap to get these outfit for my daughter! And can I tell you? I am obsessed with your daughter's hair! It is gorgeous! This clothes and pictures are gorgeous! And your daughter's hair is so cute! First off your daughter is the perfect model. All that face! Someone needs to hire her for a major campaign soon! I love how Gap collaborated with Disney and these Beauty and The Beast fashions are so chic and well designed. Your daughter is absolutely lovely and pretty! I love those pretty oufits and it looks good on her. My favorite was the Belle denim Jacket. AHHH! The Beauty and Beast craze has conquered Gap and I could not be happier! I think the clothes are awesome. My twins love Belle and so do I and to get them clothes that they can wear to school everyday that has Belle on it would be beyond awesome!!! 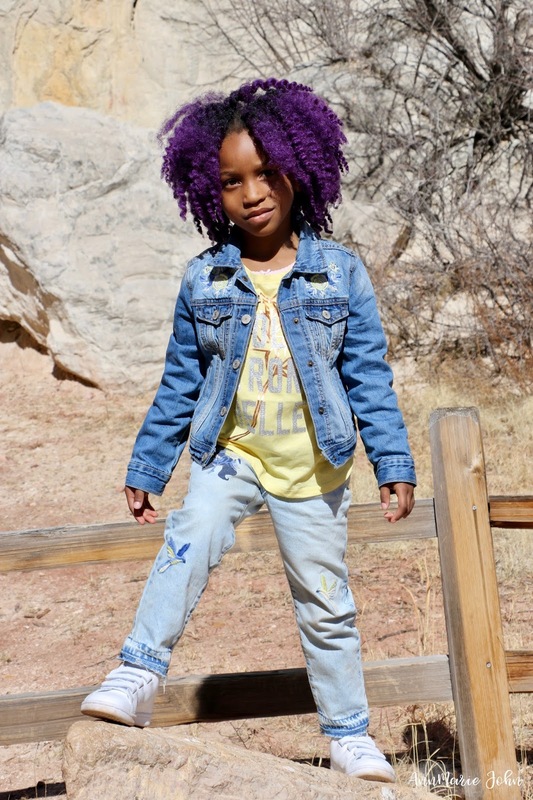 Can you please ask Gap to make adult clothes like this too? Lol. Honestly, each one is a must have. Good job to Madison for modeling these clothes well. That's a great message to send out!!! Being fearless is the one of the first steps to being your true self. Her outfits are gorgeous. I have always felt, by looking at the pictures that you post of her on your blog, that she is very strong willed. For some reason, that vibe just shines through in her picture. She carries herself well. I'm so excited to see the new beauty and the beast. 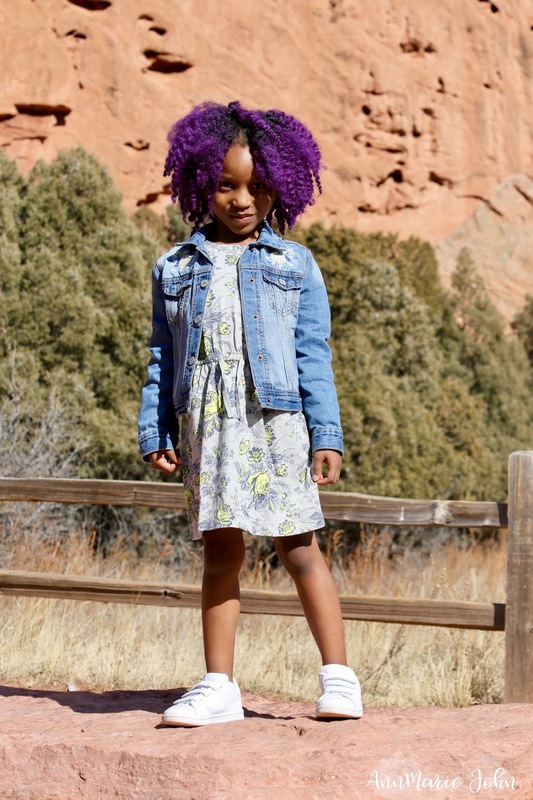 I'm sure your little just loves Gap's line for it and I think they are super adorable! Looks like you guys had a fun day out! What a perfect combo for Belle! And in perfect timing for the new movie! She must wear this when the movie premieres! I love this saying! Such a great message. I also think the clothes are just too cute. My daughter would want to rock all of these. Madison seems like a fearless beauty to me! I am so sorry to hear about your mother. It wasn't long ago so I can imagine the emotion is still fresh. You have such a strong and fearless young lady on your hands. Omg my daughter needs this whole collection!!!!! It's so cute! So heading to gap this weekend to check this out!!! Her hair is so gorgeous and I love her denim jacket. What a beauty! Oh my gosh what beautiful photos!! I love all of the outfits, too! Makes me wish my girls were younger! I would love to see you both in one photo. Your hairs are so adorable. Nice post, they look good on your daughter. Look at that hair. It looks so cute and in my fave color too.